The Gettysburgian goes biweekly! | The Gettysburgian. Home » About Us » The Gettysburgian goes biweekly! The Gettysburgian, Gettysburg College’s student paper, will begin printing every other week following this current issue. This means the paper will not be available, as it usually would be, on Thursday, Sept. 17. The next physical copy will be available on Sept. 24 and so on. The Gettysburgian editorial and advisory staff have been considering this option since the 2014-2015 school year. The paper had gone over budget several years in a row and this was the most effective way of remedying the situation. To make up for these missing issues, however, The Gettysburgian will begin a new focus on its online presence, specifically through its website: www.gettysburgian.com. Editors will place the articles that would normally appear in the print edition on the website as they are submitted. Most, if not all, of these articles will appear in the following print issue. The paper’s Web Master, sophomore Jamie Welch, has redesigned the website to give it a more modern aesthetic and easy-to-use interface. The site will also be able to function more responsively on mobile devices. 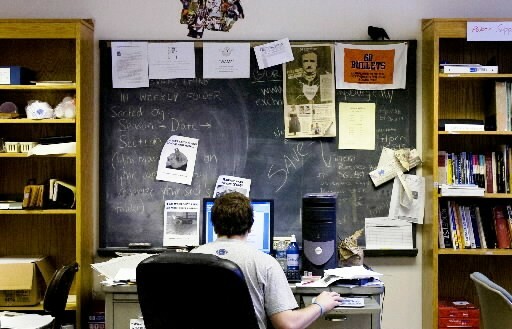 The web editors and web master will be updating the website whenever new content arrives, thus allowing The Gettysburgian to cover events and put out articles as soon as they are ready to print. The staff hopes that, with the new website, revenue from online advertisements may make it financially possible to begin printing every week again. Until then, a new paper will be available at the usual locations every two weeks.